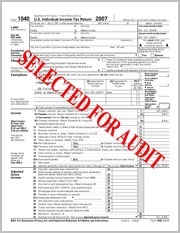 There is nothing that puts the fear of God into a company than the prospect of an IRS audit. Fortunately, the odds of getting audited are slim as long as you follow the rules. If you understand what triggers an audit, you are less likely to do something that will catch the attention of the government. Employment taxes must be withheld from employee paychecks and deposited on a weekly, monthly or quarterly in rare cases. Depending on how much money your company brings in, you may be able to file annually. Make sure that you know your deposit schedule and do not miss a payment. The IRS will investigate your company for fraud, and you could be fined or held criminally liable for failure to pay employment taxes. In addition to FICA taxes, you must withhold FUCA taxes as well. Those are funds that are used to pay for unemployment benefits for workers who are let go or furloughed. Generally, your company must pay 7 percent of the first $7,000 of wage income per year. The good news is that your company can apply for a credit that reduces that amount to less than 1 percent of the first $7,000 of wage income. A c-corporation first pays a corporate tax on its earnings. Then, dividends issued by the company are taxed when shareholders receive them. It is a common tactic to pay a higher salary and avoid paying dividends whenever possible. Those who run a s-corporation want to pay themselves as little salary as possible because wage income includes FICA taxes. Distributions are taxed as ordinary income. Although you may think that it is clever to take a very high or very low salary, the IRS knows what you are doing. If there are any aberrations on your tax return, there will be an audit coming your way. It is important to file the proper tax forms at the right time each year. Corporations must file their returns by March 15th while individuals and sole proprietors file their taxes by April 15th. Forms 940 and 941 must be filed quarterly and annually as directed by the IRS. Finally, Form 1099 must be given to any contractor who earned more than $600 working for your company. All of this information can be found at IRS.gov. Most companies won’t have to worry about an audit if they file forms on time, pay their taxes correctly and don’t try to take deductions that they don’t deserve. Business owners should keep in mind that while nothing can disqualify you from an audit, the odds of being audited are typically less than one percent. S-corporations are rarely audited unless owner/operators fail to take a legitimate salary. If you have any questions regarding your income tax return, do not hesitate to talk to an account or tax attorney as soon as possible.